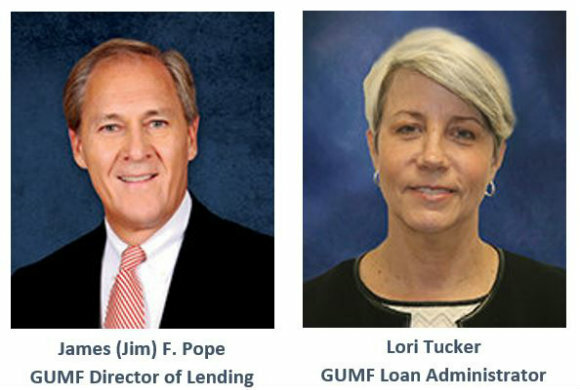 The Georgia United Methodist Foundation’s Director of Lending, James (Jim) F. Pope, and Loan Administrator, Lori Tucker, answer nine questions about our Loan Program. JIM: We offer construction loans with terms of up to one year. Our current fixed interest rate for construction loans is 5.15%. We also offer permanent loans with an amortization of up to 20 years. Our current permanent loan rate is 4.50% fixed for the first five years. The minimum loan amount is $25,000. LORI: We do not have balloon payments. We simply adjust the interest rate every five years until the ultimate maturity of the note. JIM: We do not charge points, just standard closing costs, which generally include attorney, title and recording fees.